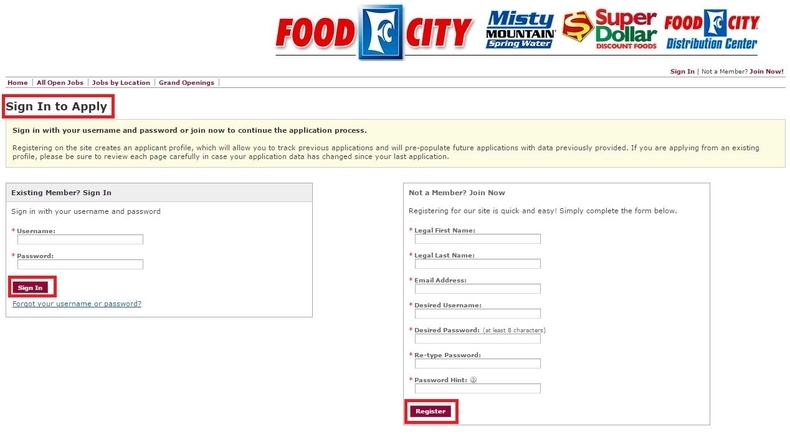 Visit foodcity.com/careers to land on Food City careers page on which you will be shown the portal to apply for a job in different careers areas like corporate in-store and distribution center. 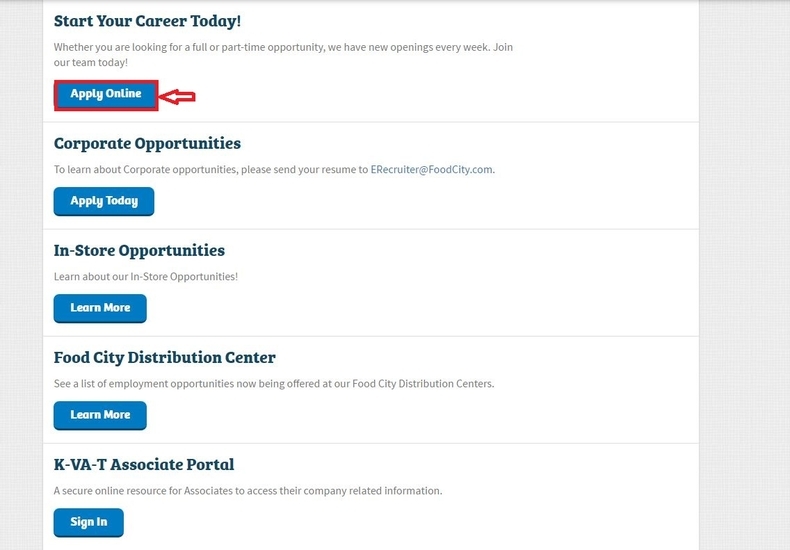 Or you can just click "Apply Online" to view more job opportunities. After the previous step of clicking "Apply Online", you'll be directed to the page below on which you will see Welcome to K-VA-T. K-VA-T is the parent company of Food City, Super Dollar Discount Foods, Misty Mountain Spring Water, and the Food City Distribution Center, so do not worry, just pick one job category at the bottom of the page, for example, Store - Bakery/Deli, you'll be directed to a page where you can see the job title that belongs to the job category, you just click one that suits your appetite to get more detail about the job. All explained above is for those who'd like to apply to and open position. If you cling on to apply to a location near you, just click the link, you'll be asked to select state,city and zip code so that the system could find you a position that near you. Here, we take the former way of applying to an open position. 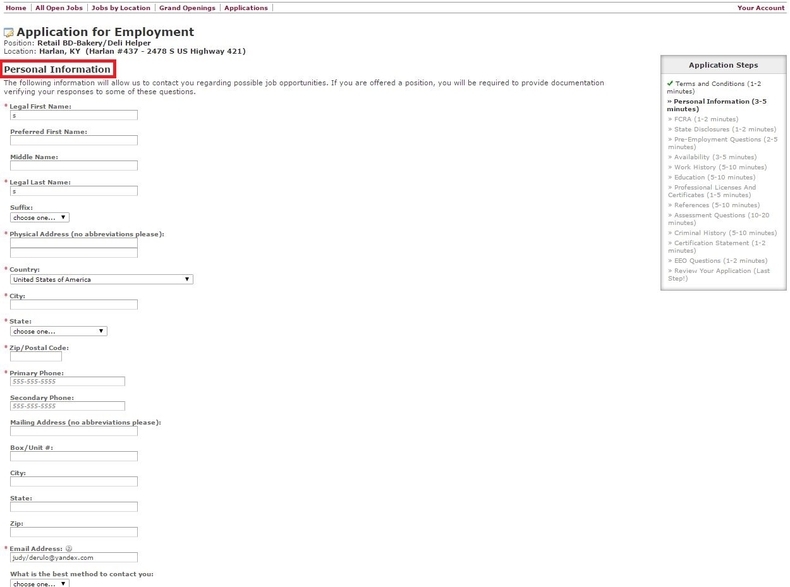 After you click the job title presented at the previous step, you're led to this page which requires you to choose a location to apply for your ideal job. Afterwards, you'll be shown numbers of locations near the exact postal code you entered that are accepting applications for the position you apply for. Click the location you want to apply to to move on to the next step. Sign in with your username and password or join now to continue the application process. 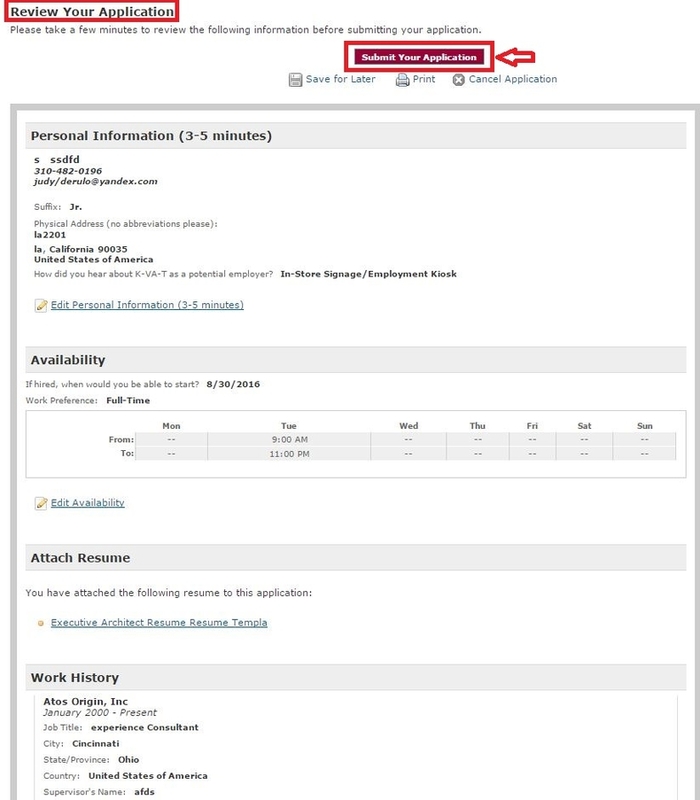 If you are newly here, you can register on the site to create an applicant profile, which will allow you to track previous applications and will pre-populate future applications with data previously provided. If you are applying from an existing profile, please be sure to review each page carefully in case your application data has changed since your last application. Read and understand the preceding statement, tick to consent to receive and respond to notices in electronic form and then click "Next" to move on to the next step. Please note that the application process could take between 30 and 50 minutes depending on the position for which you are applying. Your Application will remain active for 90 days. Fill out your personal information carefully for the information will be used to contact you regarding possible job opportunities. If you are offered a position, you will be required to provide documentation verifying your responses to some of these questions. Step 7 will illustrate the next 12 specific steps listed on the right side of the page. 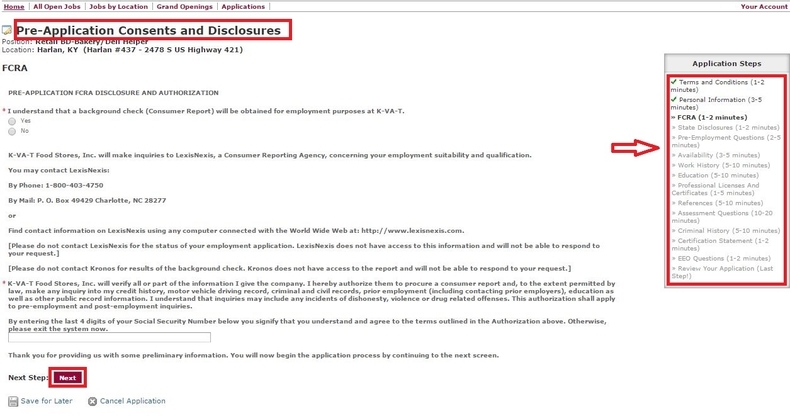 First one is to read the Pre-Application FCRA Disclosure and Authorization shown in the page below, then you need to answer some pre-employment questions like "Can you provide legal documentation establishing your identity and eligibility to be legally employed in the United States?" etc.. Afterwards, you're asked to indicate your availability and provide your resume. After you upload your resume, you'll be led to pages requiring you to fill out your work history & education background, list your professional licenses and certificates, provide information for up to two references without listing members of your family as references and answer some assessment questions. The fourth step from the bottom asks you to fill out your criminal history details if you have. Do not worry cause the existence of a criminal history will not automatically disqualify you from the job you are applying for. After you fill out your criminal history info, you'll be led to the page asking you to read At-Will and Certification Statement and tick to move the next step of responding to EEO questions. After finishing the several steps listed in the step 7, you'll be shown the page below on which it prints the letter asking you to review your application and submit your application. Just take a quick look at your application and click "Submit Your Application" at the top or the bottom of the page to submit if all the info is correctly provided. After submitting your online application, you'll led to this page on which you will see the notification that your application has been submitted. Your information will be kept for 90 days.You can wait in the meantime while Food City is reviewing your information to determine whether your qualifications match their needs. Click foodcity.com/careers to apply for Food City jobs online.